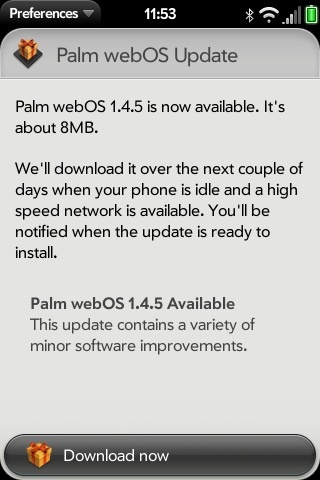 It looks like Verizon rolled out Palm webOS 1.4.5 for their Pixi Plus customers yesterday. The webOS 1.4.5 change log for the Verizon branded Palm Pixi Plus is listed after the jump. Verizon Pixi Plus customers can download the webOS 1.4.5 update by running the Updates application on their phone. The wait continues for Verizon's Pre Plus customers and all of AT&T's Palm Pre Plus and Pixi Plus customers. Sprint customers received their Palm webOS 1.4.5 update on August 11.